Carson Palmer hasn’t reported to the Bengals and it doesn’t look like he will. Adam Schefter of ESPN reports he will not report to the team at any time this season, according to those who know Palmer best. Palmer is said to be set in his stance and resolved not to return to Cincinnati. The Bengals have been equally as resolved as Palmer, which is why the standoff is where it is today — with Palmer going through private workouts in California, staying in shape if ever there is a time that Cincinnati does decide to trade him, and with the Bengals investing in Andy Dalton as their quarterback of the future. 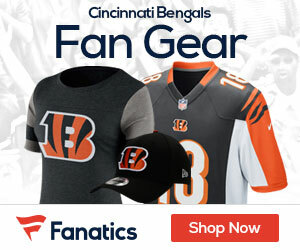 NFL.com reported Sunday that Palmer has been throwing to one of his former targets with the Bengals, free-agent receiver T.J. Houshmandzadeh.